Welcome. Our center is located in Campbell, a small town in West San Jose. This is the location of our weekly events which include Buddhist classes and practice session, as well as yoga and mindfulness based stress reduction which are listed under Wellness Programs. The Buddhist tradition that we teach is that of His Holiness the Dalai Lama, following the instructions of our spiritual head, Kyabje Lama Zopa Rinpoche. 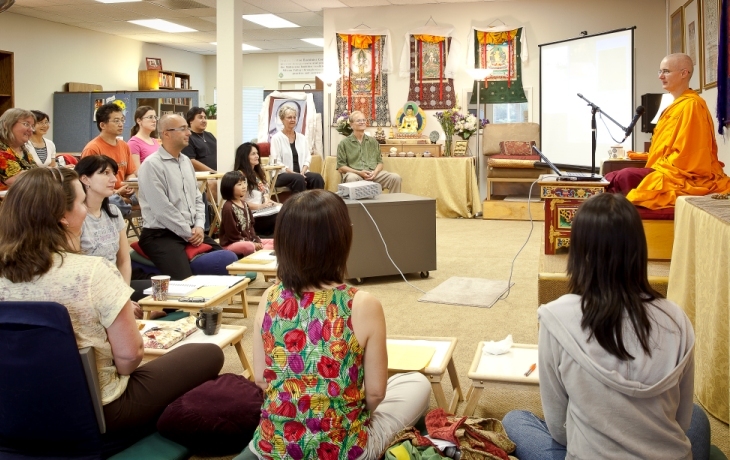 All instructors teaching Buddhist topics at our center have been approved by our organization as qualified to teach those specific levels.